This is one of my favorite movies, my two little ones watch it all the time they just love Horton! They must get it from their mama because when I was little one of my favorite bedtime stories was Horton Hatches the Egg, a Dr. Seuss classic that is a must read if you have never read it before. 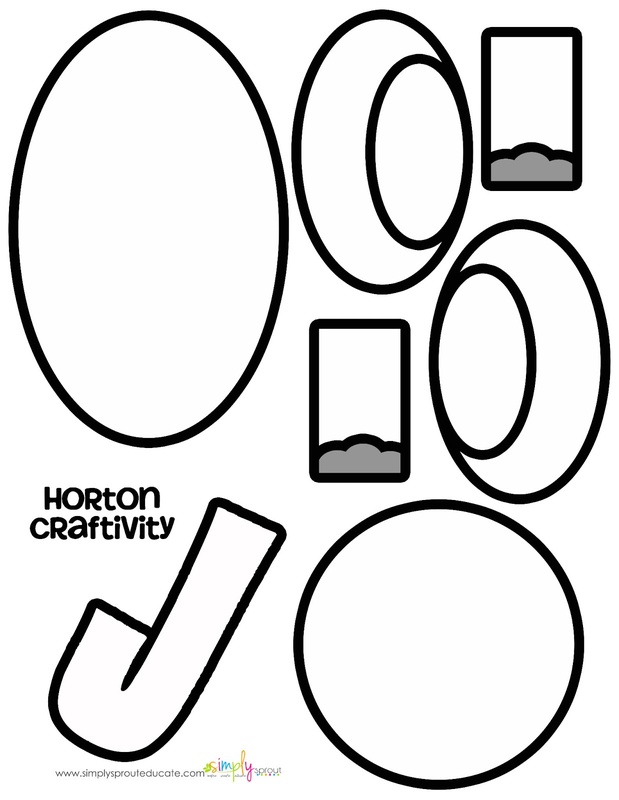 In the movie Horton happens across a clover that has a tiny little speck on it that calls out to him. On that speck lives a mayor and an entire town. Horton journeys to try to find a safe place for all of the Who's down in Whoville all while being chased and tormented by the nonbelievers. The message from the movie is clear and the quotes drive that home. A person is a person no matter how small.. 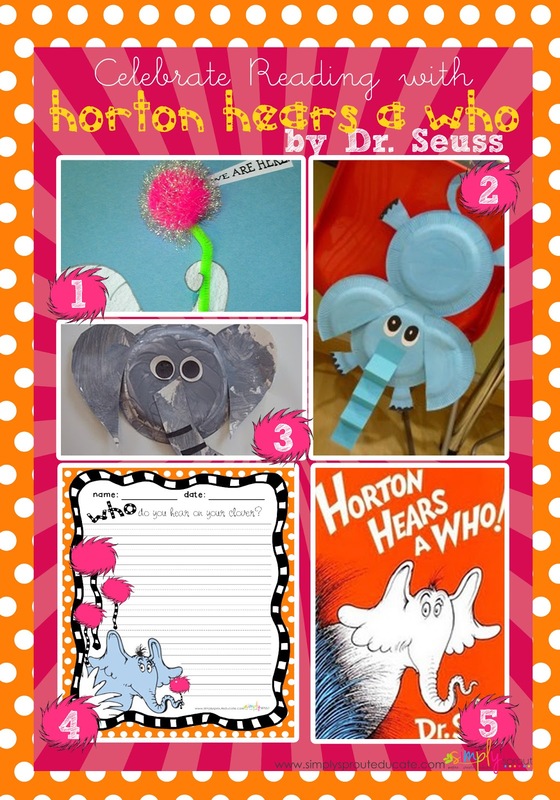 I meant what I said and I said what I meant an elephant is faithful 100%..."Horton"
Here are some of our favorite ideas for the classroom, integrate them as a center, small group activity or large group lesson. 5. Dr. Seuss' original book Horton Hears a Who can be found at your local library or bookstore. 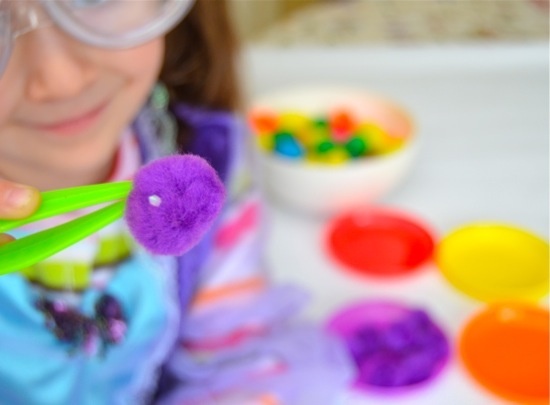 Set up a tray of colorful pom poms, include one that has a tiny speck glued to it. Give students a magnifying glass and some tweezers. 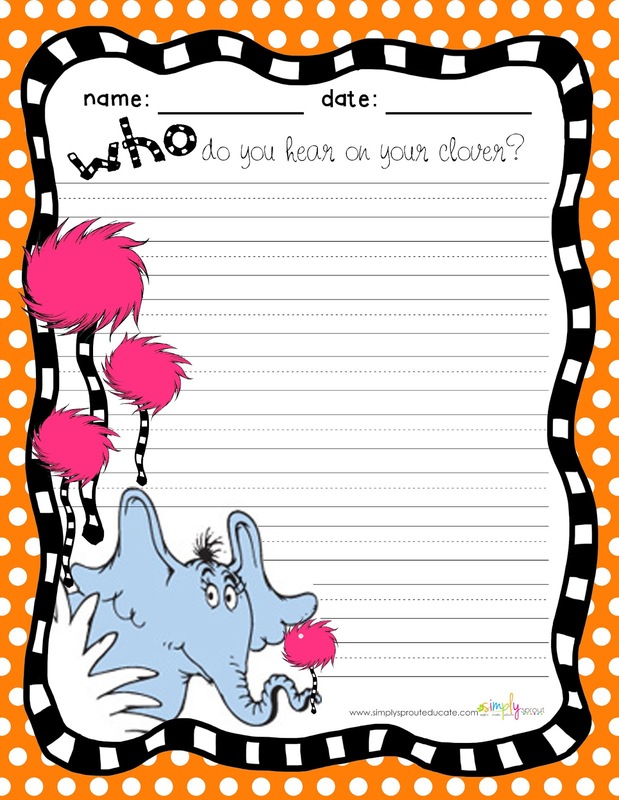 Have them see if they can go through the pom poms one by one and find the speck. For an extension to the book or movie have students use their imaginations to create their own speck on a clover, who lives there? What kind of world would it be? What would you say if you were on that speck? Have students take the perspective of the Mayor in this cute writing craftivity. 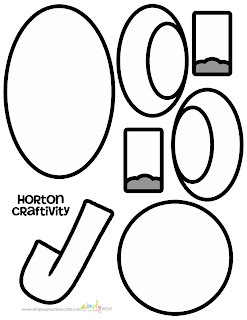 To make just copy the pictures below and have students cut, color and assemble.